Now that it’s officially the holiday season, even I start to get the baking bug. I blame all the recipe sites promoting baked goods because I don’t really eat a lot of sweets. But once the air starts to get crisp and there are pictures of cookies and pies everywhere, I feel drawn to baking sugary-carby-cookie-overload instead of chicken. Because I’m moving in less than 2 weeks, though, I am sweating through packing my life into boxes so I really didn’t want to deal with the oven going. I also wanted something that I could do in steps. Then I remembered the truffles I made for a dessert potluck at work one year. Hmmm… dark creamy chocolate rolled in…. bacon! Yes! Perfect! 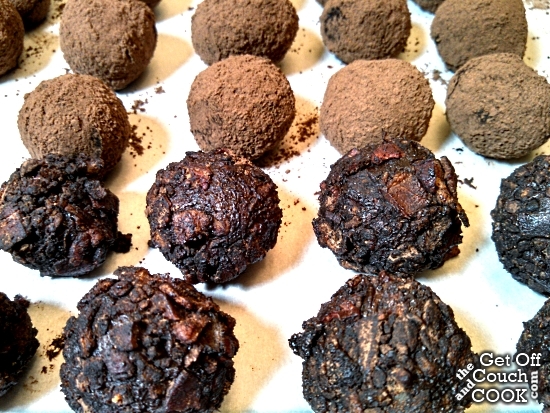 Truffles are a lot more simple to make than make people realize and don’t require weird concoctions of premade baked items. These are nothing more than butter, evaporated milk and chocolate melted to together, cooled, and rolled in crumbled bacon and coca powder. The evaporated milk helps keep the calorie count down a little tiny bit though these still are a dieter’s nightmare. Just the way I like my truffles! If you don’t want to roll your chocolate in bacon… though I can’t imagine why… you can easily go with a simple cocoa powder dusting or even chopped nuts. I would stay away from sugar or powdered sugar, though, as the moisture of the truffles will have a weird effect on the coating. Pour the evaporated milk into a medium saucepan and place over medium heat. Heat, whisking frequently, until it begins to simmer and bubble. Whisk constantly for 1 minute. Add the butter and whisk until it is completely melted. Stir in the chocolate with a metal or silicon spoon (do not use a wooden spoon) and remove the pan from the heat. Keep stirring until the chocolate is melted and the mixture is smooth. Pour the chocolate mixture into a medium to large bowl and place the bowl, uncovered, in the refrigerator for 2-24 hours. 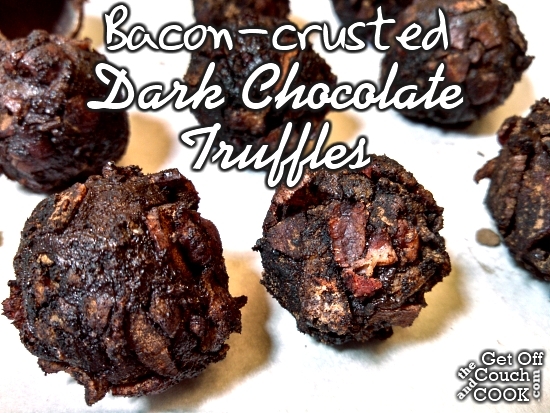 When ready to form the truffles, toss together the bacon, cocoa powder and cinnamon and place on a plate. Line a rimmed baking sheet with parchment or wax paper and set it near the bacon mixture. Take the chocolate from the refrigerator. 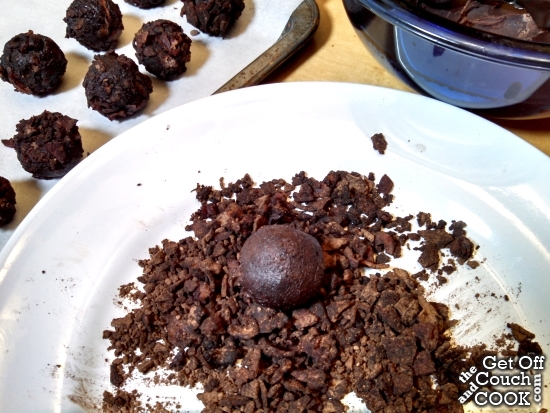 Use a cookie scoop or spoon to scoop out enough chocolate to roll into a 1-inch ball. Roll the ball in the bacon mixture and place on the lined baking sheet. Repeat for all the chocolate. When finished rolling all the chocolate, refrigerate the truffles for 30 minutes then place in an airtight container. Refrigerate until ready to serve. 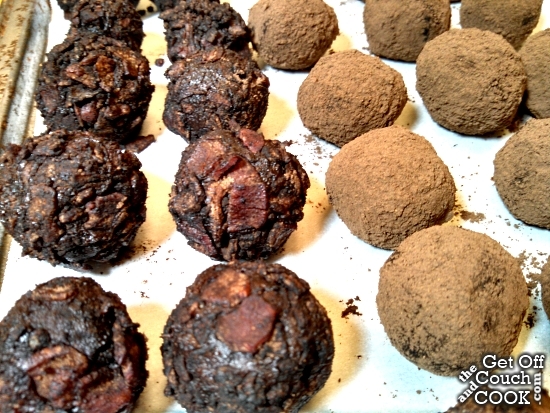 Variation: instead of the bacon mixture, mix together 1/4 cup cocoa powder, 2 Tbsp brown sugar, and 1 Tbsp cinnamon to roll the truffles in. You can also use milk chocolate instead of dark chocolate. In the spirit of full disclosure, the chocolate I used in this recipe was a free sample from a company called Chocoley based in Alpharetta, GA. When they contacted me to see if I wanted free chocolate, how could I say no? I mean, free chocolate? Heck yeah! I loved the way it tasted and how smoothly it melted. I am a Ghirardelli girl through and through, not only because of how wonderful it tastes but because of the short ingredient list. After tasting the Chocoley chocolate, I was pleasantly surprised how smooth it was and decided to go ahead and leave my beloved chips in the pantry. The Chocoley bag had no ingredient list on it but based on the label, I didn’t let that stop me. And the truffles turned out really, really good! As I was preparing the post, I went to the Chocoley page and searched for the ingredient list so I could link to that, too. Unfortunately, it doesn’t fit into my real food diet so I won’t be spending the little extra to order more but I was really happy with the quality. 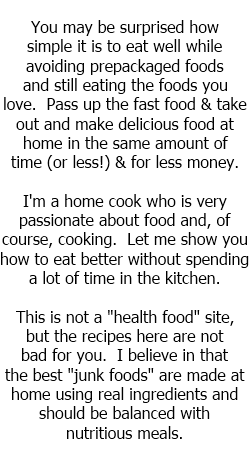 Since I only eat 1 or 2 at a time, it doesn’t make my stomach hurt, which is good but I prefer to avoid some of the ingredients they use. Chocoley has some ah-mazing chocolate indeed! 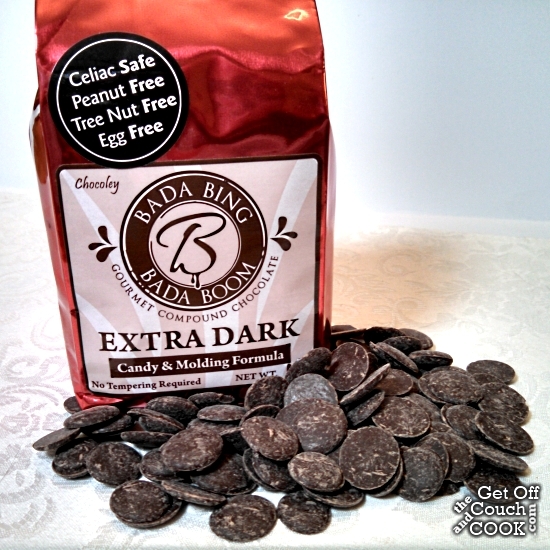 Love your use of it in these truffles – which are a perfect blend between salty and sweet!